When it comes to lowering cholesterol, oatmeal gets most of the glory, but other whole grains have cholesterol-lowering power, too. A new study found that eating barley lowers two types of bad cholesterol by an average of seven percent. Wait a second. Two types of bad cholesterol? I grew up learning that there were just two types of cholesterol total: LDL (bad) and HDL (good). A doctor even told me that I could remember which was which by pretending that the H in HDL stands for happy. While HDL cholesterol is good and LDL is bad, it turns out that this dichotomy oversimplifies the cholesterol equation. To get your true bad cholesterol number, you subtract your HDL from your total cholesterol number, and that number doesn’t always equal your LDL cholesterol. LDL cholesterol is just part of what cardiologists call non-HDL cholesterol. Getting your total non-HDL cholesterol requires a special blood test. High non-HDL cholesterol paired with high triglycerides indicates a higher risk of heart attack. Lowering your LDL cholesterol is good, but lowering your total non-HDL cholesterol is even better. The barley study from St. Michael’s Hospital found that people who ate barley had lower LDL and non-HDL cholesterol levels. - Eating More Fiber Foods Could Aid Your Weight Loss Goals. This isn’t the first study showing that barley is good for our cholesterol levels. Back in 2004, for example, a small-scale study found that barley lowered total cholesterol. What’s new in this study is the data about non-HDL cholesterol. These new findings just underscore barley’s cholesterol-lowering benefits. Barley contains a specific type of soluble fiber called beta-glucan. The researchers found that eating between 6.5g and 6.9g of beta-glucan per day had a big impact on both types of bad cholesterol in just four weeks. That’s kind of a lot of cooked barley, though. A cup of cooked barley contains about 2.5g of beta-glucan. To hit the 6.5-6.9g rance, you’d have to eat almost three cups of barley a day or take a supplement. 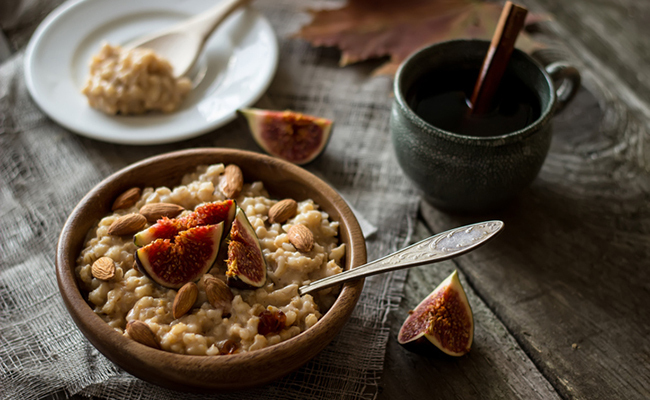 Oatmeal and barley contain about the same amount of beta-glucan per serving, so you can mix up your whole grains while still getting the cholesterol-lowering benefits. Barley contains more protein and total fiber than oats, though, and it has fewer calories per serving.